The JRC, in conjunction with the UNHQ Cartographic section, designed and developed a collaborative mapping framework focused on supporting the information- management process and aimed at assisting the decision makers during emergencies. Compared with several tools already available on the market, the JRC development was intended to answer three clear requirements, in particular to support the whole information flow in an emergency situation, to facilitate the users’ experience and to ensure quick information dissemination from the field to the mission’s headquarters. All the information is stored in a common repository and shared among all the crisis players through a web portal and other geographic-aware systems such as Google Earth. The system underwent a real test scenario during the post-2008 hurricane season PDNA exercise in Haiti where it was demonstrated to be a valuable tool to support the decision-making process in all its stages. Fickes M (2003) WHY WE NEED SMARTER MAPS. http://govtsecurity.com/mag/why_need_smarter/ [Accessed June 11, 2009]. GDACS (2008a) GDACS event report – Tropical Cyclone FAY-08. Global Disaster Alert and Coordination System. http://www.gdacs.org/reports.asp?eventType=TC&ID=FAY-08&system=asgard&alertlevel=Green&glide_no=&location=USA&country=United%20States&new=true [Accessed June 15, 2009]. GDACS (2008b) GDACS event report – Tropical Cyclone GUSTAV-08. Global Disaster Alert and Coordination System. http://www.gdacs.org/reports.asp?eventType=TC&ID=GUSTAV-08&system=asgard&alertlevel=Orange&glide_no=&location=HTI&country=Haiti&new=true [Accessed June 15, 2009]. GDACS (2008c) GDACS event report – Tropical Cyclone HANNA-08. Global Disaster Alert and Coordination System. http://www.gdacs.org/reports.asp?eventType=TC&ID=HANNA-08&system=asgard&alertlevel=Orange&glide_no=&location=DOM&country=Dominican%20Republic,%20Haiti,%20Turks%20%20Caicos%20Is.,%20Cuba,%20United%20States,%20The%20Bahamas&new=true [Accessed June 15, 2009]. GDACS (2008d) GDACS event report – Tropical Cyclone IKE-08. Global Disaster Alert and Coordination System. http://www.gdacs.org/reports.asp?eventType=TC&ID=IKE-08&system=asgard&alertlevel=Red&glide_no=TC-2008-000151-BHS&location=CUB&country=Cuba&new=true [Accessed June 15, 2009]. Parker C, Stileman M (2005) Disaster management: The challenges for a national geographic information provider. 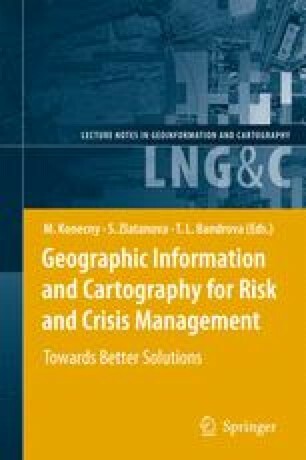 Geo-information for Disaster Management. Springer, New York, pp. 191–214. http://dx.doi.org/10.1007/3-540-27468-5_14 [Accessed June 15, 2009]. Reilly D (2008) Reuters AlertNet – A year’s worth of mud in Gonaives. http://www.alertnet.org/db/blogs/53808/2008/09/13-124438-1.htm [Accessed June 15, 2009]. USAID (2008) Haiti – Storms Fact Sheet #6 (FY) 2009. http://www.reliefweb.int/rw/rwb.nsf/db900sid/TUJA-7MG2NN?OpenDocument [Accessed June 15, 2009].